Plant, manufacturing skin care products, to cease production in 2021. GlaxoSmithKline – Stiefel has announced the closure of its Sligo plant by 2021. 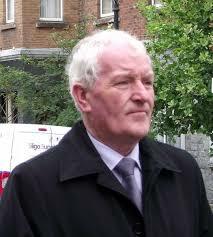 Tony McLoughlin TD…’Very disappointing announcement” for Sligo. An emergency meeting of the company this morning heard that 165 workers are to lose their jobs. Ten of the total are contract posts. The decision will come as a major shock to a town already reeling from a lack of government investment. The plant, at Finisklin, manufactures skin care products. It was opened by Stiefel more than 40 years ago, in 1973. GlaxoSmithKline acquired the operation ten years ago. It’s understood that closure of the operation is to be carried out in three phases. 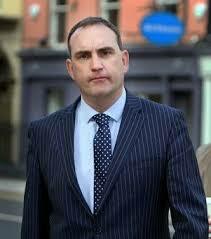 Government party TD Tony McLoughlin has described the decision as a “very disappointing announcement” for Sligo. He said the Minister for Employment Affairs and Social Protection had been advised of the situation and that everything possible will be done to help affected workers transition and find new employment opportunities. He added that “the latest losses must act as a wake-up call for this government that investment is urgently needed in this region. “PR launches and rehashed action plans are not enough. There needs to be a realisation that there is life beyond the capital and targeted investment in jobs and services is essential to improve the lives of people living in the regions.